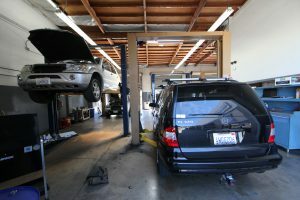 Quality Motors is your source for Mercedes Benz Oil Change service in South Orange County, CA! Quality Motors utilizes original equipment oil filters and premium Valvoline European spec pure synthetic oil that meets or exceeds all Mercedes Benz specifications. All of our Mercedes Benz service and repairs are warrantied for 24 months or 24,000 miles. Our suite of premium services includes a client lounge with wi fi and refreshments, complimentary shuttle service, loaner cars and carwash. Request an appointment today on line or give us a call. One of our dedicated client advisers is ready to deliver the Quality Motors experience. 38 years of serving Orange County. Q: If I get my oil changed will my A,B,C, etc.. light go out. A: No, the light will not be reset unless the Mercedes Benz Service that the light is on for is performed. A: We use Valvoline euro spec 5/40 mst synthetic oil. This oil meets or exceeds all Mercedes Benz specifications. Q: What’s the deal with long factory oil service intervals? Is it wrong to follow their over-extended schedule? 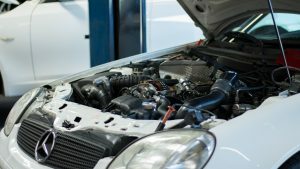 A: Mercedes Benz refers to its basic oil service as a A service, your light will usually come on about every 10,000-12,000 miles, due to premature engine wear and sludging, we strongly suggest a oil change every 5,000-7,500 miles. Q: How many quarts does my Mercedes take? A: Most Mercedes have an oil capacity between 5.5 and 9 quarts. 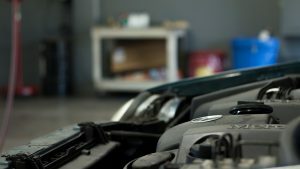 Q: Do I need to make an appointment for an oil change service in my Mercedes?